The initial reaction to the cancellation of Spider-Man 4 (which would have been over a year old by now) and subsequent reboot of the film franchise was one of little positivity. Fans ranted that it was far too soon for such an idea, and that the to be announced new cast and crew would not surpass those of the original trilogy. 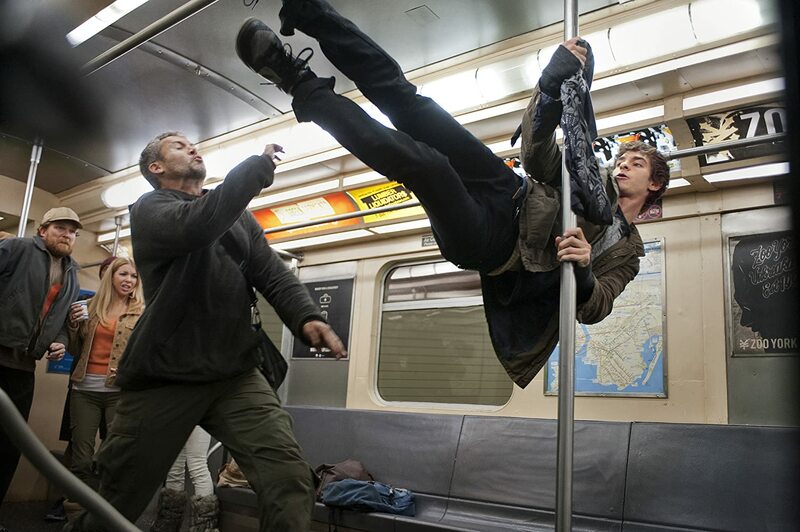 Now, two years later, that negativity has transformed into hype as The Amazing-Spider Man, the start of a new series, swings into theatres at last. Peter Parker (Andrew Garfield) is a troubled young man whose parents left him in the care of his Aunt May (Sally Field) and Uncle Ben (Martin Sheen) at a young age. Eager to uncover the mysteries of his past, Peter finds himself at the renowned Oscorpe headquarters seeking answers from Doctor Curtis Connors (Rhys Ifans), a colleague of his father's. 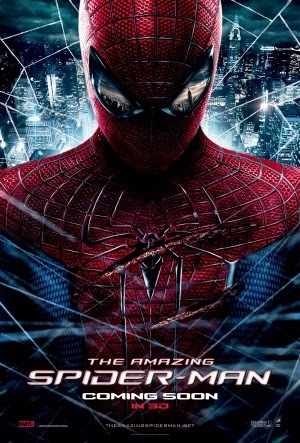 In the process, he is bitten by a radioactive spider being used in a genetics experiment and suddenly gains the abilities of an arachnid; seeking to use his powers for good, Peter dons the title of Spider-Man to fight crime and injustice throughout the city, and eventually must put his abilities to the ultimate test when Connors' long-drawn plans for genetic crossovers spiral out of control and turn him into a destructive reptilian monster - The Lizard. It goes without saying that The Amazing Spider-Man is an incredibly visual film, with a heavy focus on CGI and set pieces. It is certainly good looking as far as the visual effects go; The Lizard himself suffers from a somewhat daft design but is rendered in a very realistic fashion, which flows in conjunction with solid animation. Spider-Man himself is a lot more polished than he was in the original films appearance wise, with a vibrant costume and slick animation that sparks enjoyable and equally intense fight scenes. The film is definitely one to view in IMAX 3D; the depth of the effect is standard yet really shines during some of the POV shots the film frequently adopts, and the crystal clear quality of the images makes for a much more refined film experience. But can the narrative live up to the visuals? Not so much. The story is well told and easy to follow, but definitely slots into the generic comic book film plot, with a standard villain, standard climax and incredibly dull romance. The film also seems to create a number of questions throughout the storyline, yet cease to answer them, merely paving the way for future sequels. The transformations of both the hero and villain into their respective alter-egos are also very rushed - when Connors mutates into The Lizard, the final battle is right around the corner due to a sheer lack of build up. The fight scenes are also not spread out enough, instead being crammed into the latter half of the film and feeling very enjoyable, yet very samey. The acting is great for the most part, with Garfield definitely playing a superior Peter Parker and, by extension, Spider-Man than Maguire did in the original films. He is a lot less boring and far more comical when underneath the costume, making his character incredibly enjoyable and more faithful to Spidey's original personality. Rhys Ifans plays Connors well, though his character's development is flawed, as he is forced into The Lizard's aggressive and demented personality very quickly. Sally Field and Martin Sheen are very good at playing their parental roles (the latter being quite exceptional) and Denis Leary, who plays the antagonistic police captain George Stacey, performs an interesting and entertaining role. As Peter's love interest, Emma Stone portrays Gwen Stacey as, well...a girl. She's not very amusing, the romance is forced and there is not an awful lot of chemistry sparking between the two characters. The Amazing Spider-Man is superior to the 2002 film in my opinion, but not by a great deal. Both are well made and entertaining superhero films, but are flawed. In the case of this film, it is far too reliant on the visual side of things; that could be argued as normal for superhero films of this nature, but even the narrative has flaws that extend beyond it's familiarity. There is not a lot of build up and the villain is weakly portrayed (and looks silly), which is a crying shame as The Lizard has so much potential in the live action environment. It's a film definitely worth seeing for fans of the web slinger and those who have waited so long, and despite my criticisms, I did thoroughly enjoy it.